Souvenir solid brass thimble. 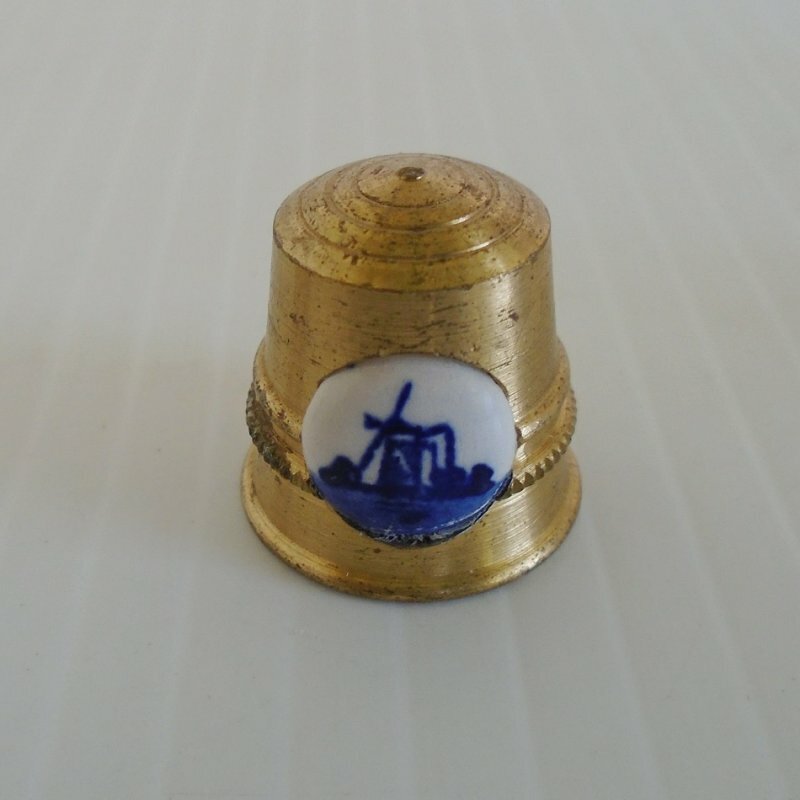 One side has a porcelain button with a windmill in delft blue and white. About standard size but heavier. Solid brass thimble, about the size of a standard thimble except much heavier. The side has a porcelain button with a windmill in delft blue and white. Buyer to pay USPS First Class Mail Parcel delivery charges of $3.99. Delivery is from California. I gladly combine shipping on multiple items purchased. It is best if possible to contact me first to let me know which items you'll be purchasing so that I can adjust the shipping charges, otherwise at checkout you will be charged the full shipping fee for each item. Should that happen, and if appropriate to do so, I refund a portion of those charges.